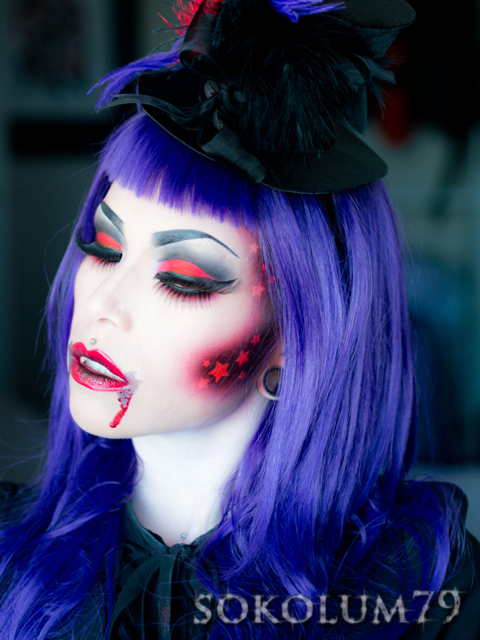 This look was created because I have always wanted to do a vampire look and I have had quite a few requests to do looks similar to my The Hunger Games "Capitol" looks. I broke out the airbrush and Stilazzi compressor for this video, which I always love using. 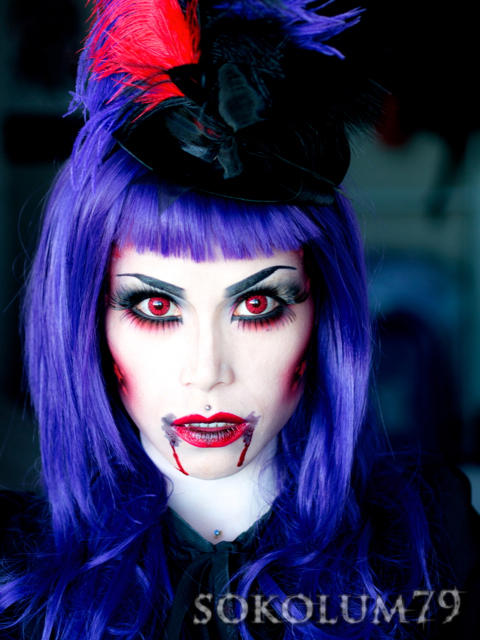 I am also wearing my favourite lenses of ALL TIME, from PinkParadise.com, the Super Pinky Bright Red lenses. I realized after recording that my white balance and shutter speed were off for most of the video. FML. So I did my best to adjust it in FCP X.